Hobbiton™ Movie Set is an experience to tantalise the senses of visitors from all across the globe, as guests find themselves engulfed in the sights, smells, sounds and tastes of The Shire™, at the home of the Hobbits™, as featured in The Lord of the Rings and The Hobbit Trilogies. The extraordinary following that the movies have amassed has led to our tours becoming a must see while travellers are in New Zealand. The Hobbiton Movie Set is the only set that remains intact from the trilogies, and that allows our visitors to fully immerse themselves in the wonders of The Shire. 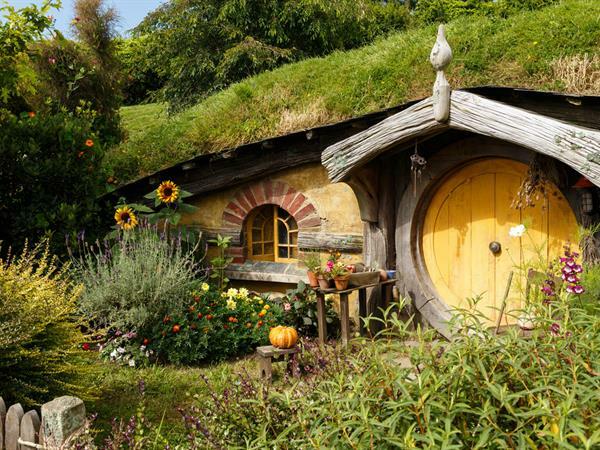 Visitors are given the once in a lifetime opportunity to see an iconic movie set in its full glory; from wandering the rambling paths of The Shire, to seeing the submerged Hobbit Holes™ that litter the rolling hillsides.